Do I have to install this program? In the lower-left corner, click the Windows/Start button. Click the All Programs option. Can I use Audacity on a Chromebook? No, Audacity can only be installed on a Windows, Mac, or Linux computer. An alternative is to use the TwistedWave app on a Chromebook. I don't know how to use Audacity. Is there a good video tutorial? 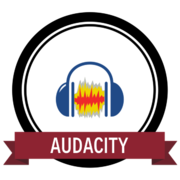 Watch this video tutorial to learn the basics of audio recording/editing with Audacity. TIP: Jump to the 1:20 mark to skip the program installation process. How do I export my recording as an MP3 file? You must install the LAME encoder file. This is a separate installation from Audacity. The file should be installed on school computers and is typically found in the Audacity program folder. If you need to install it on your home computer, click the LAME MP3 Encoder link from the Resources menu.